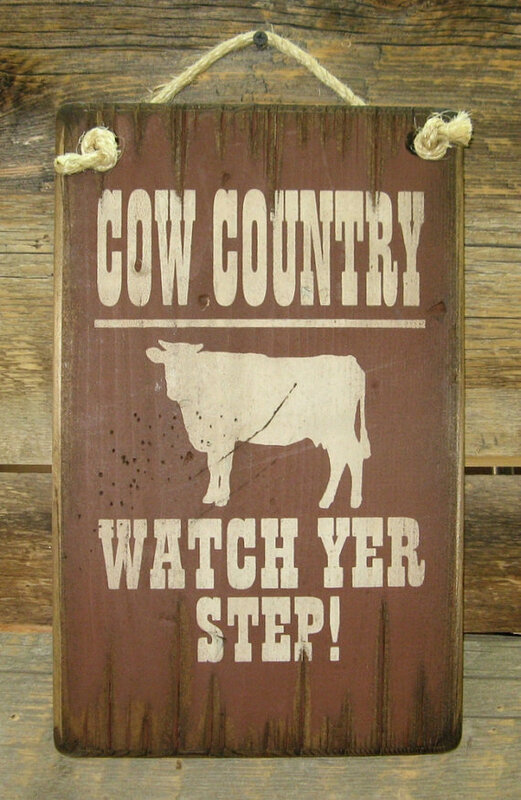 Cow Country, Watch Yer Step! Place this on your property to warn guests where NOT to walk. This rust background sign measures 9×14 and comes with the grass rope hanger for easy hanging. Handcrafted with pride! !